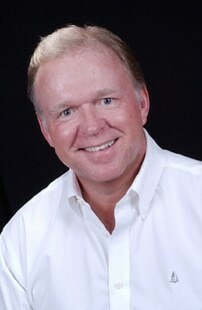 Jack B. Keenan - President | Jack B. Keenan Inc. Founder of JBK, Jack B. Keenan, Ph.D., brings over 30 years of training and development psychology leadership to the team. Since 1983, Jack and his team have worked with more than 100 leading sales and marketing organizations who are charged with selling and marketing complex products and solutions into highly competitive markets with very compelling value propositions. A student of learning, Jack’s mission is to try to make learning work more efficiently and effectively for individuals and organizations. In order to help make best practices more common, Jack co-authored the company’s core program offerings – Selling Beyond the Product™, Marketing Beyond the Product™ and Account Due Diligence™ programs. Jack’s interests and expertise are in helping individuals and organizations learn how to learn in developing the skills, processes, and tools for better managing themselves and the business in ever-changing, high velocity, highly competitive business environments. He has a particular interest in the study of the behavior of experts, as a model for skills development. He has designed and delivered a wide range of revenue and performance improvement and sales leadership development projects for organizations that have produced lasting change and results. Jack also continues to pursue his much-treasured role as a coach and adviser to senior leaders to help them address their specific business and personal development challenges. Operating from California’s Silicon Valley for over 30 years, Jack has built a highly successful business and a world-class team of consultants that engages in sales and marketing program development, strategic planning, and executive coaching with some of the world’s most demanding organizations – Adobe, Apple, AMD, Applied Biosystems/Life Technologies, Applied Materials, Bio-Rad, Cisco Systems, Google, Intel, Maxim Integrated, Mentor Graphics, NetApp, NXP Semiconductors, RSA Security, Salesforce.com, SGI, Symantec, Synopsys, Xilinx, and Yahoo – to name but a few. Prior to JBK, Jack worked as a training consultant to the U.S. Army Institute at Fort Rucker, Alabama. Jack received his B.A. degree in Psychology from the University of Massachusetts at Amherst, and both his M.A. and his Ph.D. in Psychology from West Virginia University, specializing in Instructional Design and Organizational Development.